Romance within beautiful nature is guaranteed by a holiday in our Youth Hostel Drosendorf. It’s unique and idyllic location and also the numerous sport- and leisure activities around the area fulfil the qualifications for a perfect holiday. The hostel offers ideal conditions to relax and it’s also an optimal base for adventure trips around the area. 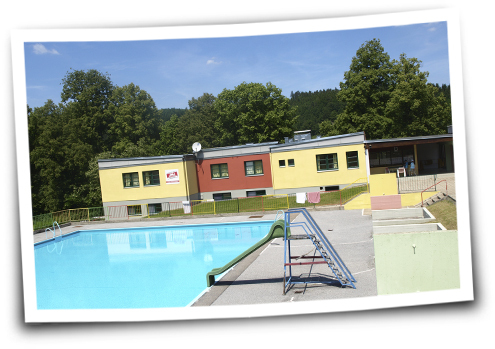 A public open air pool and lots of other leisure facilities next to the hostel offer enough opportunities to chill out. Those who have been there before enthuse about the home–style cooking and its local delicacies.